I am also struck by the parallel to Friedrich Schleiermacher--a comment that will probably surprise those who hold to the conventional view of Barth as an implacable opponent of the "father of liberal theology." In the mid-nineteenth-century context Schleiermacher was trumpeted as a bridge from the barren rationalism of Kant to orthodoxy. The church historian Philip Schaff, for example, argued in this fashion (see his Germany: Its Universities, Theology, and Religion [Philadelphia: Lindsay and Blakiston, 1857], 320). But bridges can be crossed in both directions, and while initially the preponderance of traffic over die Schleiermacherbrücke was toward more conservative forms of theology, the long-term story has been quite the opposite. I sense that the same is and will continue to be true of Barth. I agree with Evans' conclusion, but I have two things to add. Perhaps Barth may be taken as that bridge, but I don't think that there's anything wrong with the occasional "liberal leaning." I also don't believe that Barth would want to be characterized as either bridge (say, one from Kant to orthodoxy and vice versa). 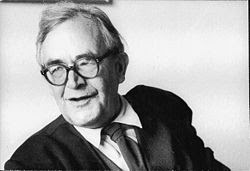 I am convinced that even with the legendary stature that Barth has reached with those who are slightly right-of-center, Barth's ultimate goal was to effectively preach the Gospel of the Word of God, Jesus Christ, as presented in the Scripture. But that's just the impression I get when I read him.